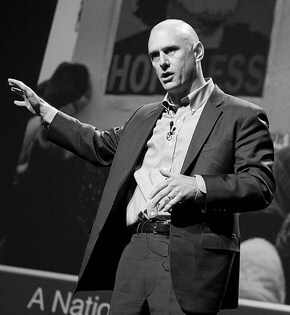 Mark Mykleby is a member of the Center for Climate and Security’s Advisory Board. He was commissioned as a second lieutenant in the Marine Corps following his graduation from the United States Naval Academy in 1987. He was designated a naval aviator in April 1990 and as a qualified F/A-18 pilot in December 1990. From January 1991 to May 2006, he served in five fleet fighter squadrons and performed numerous operational squadron billets to include Director of Safety and Standardization, Pilot Training Officer, Aircraft Maintenance Officer, Operations Officer, Executive Officer, and Commanding Officer. He is a graduate of Marine Weapons and Tactics Instructor School (WTI), the Navy Fighter Weapons School (Topgun), and the Allied Air Forces Central Europe’s Tactical Leadership Program (TLP). Mark’s operational experience includes numerous deployments (land based and ship borne) to the European, Pacific, and Southwest Asian theaters in support of Operations PROVIDE PROMISE, DENY FLIGHT, SOUTHERN WATCH, and IRAQI FREEDOM. His staff experience includes serving as the George Washington Battle Group liaison officer to Joint Task Force-Southwest Asia (Eskan Village, Saudi Arabia) in 1997, serving as a Marine Air Ground Task Force (MAGTF) Staff Training Program (MSTP) instructor from 1999-2001, and serving as the Harry S. Truman Battle Group liaison officer to the NATO Combined Air Operations Center Five (CAOC-5) headquarters (Poggio Renautico, Italy) in January 2003. In June 2007, Mark was assigned to the US Special Operations Command (USSOCOM) where he developed strategy for Special Operations Forces. From July 2009 until April 2011, he served as a special strategic assistant to the Chairman of the Joint Chiefs of Staff. In that capacity, he co-authored with Navy Captain Wayne Porter A National Strategic Narrative, a concept and vision for a 21st Century grand strategy for the nation. Mark retired from the Marine Corps in July 2011., and joined the New America Foundation to work on grand strategy and sustainability. He is now the Co-Director of the Strategic Innovation Lab at Case Western Reserve University. Mark graduated from the United States Naval Academy with distinction in 1987. He earned a Masters of Military Studies from the Marine Corps Command and Staff College in 1999. In May 2007, he graduated from the Air War College with distinction and earned a Masters of Strategic Studies.